The primary research database in the field of psychology. Social Sciences citation index- see who has cited an article, or find more sources. Click "Journals A-Z" and choose psychology. Use search box to search just this journal. Have a citation and need to find the article? Search using the title in PsycInfo or Lionsearch. 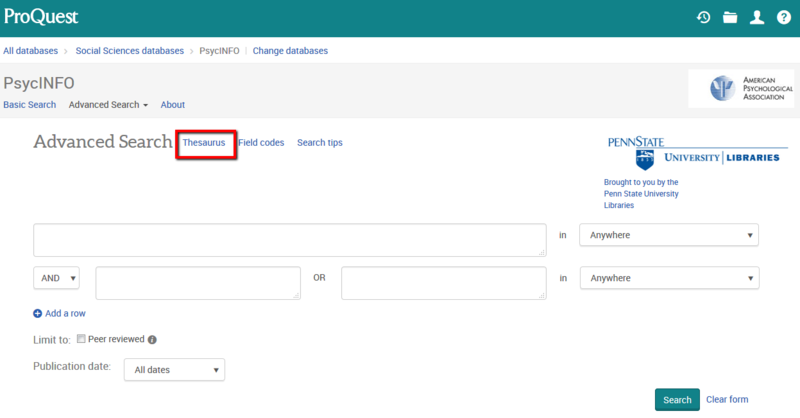 The thesaurus feature in PsycInfo allows you to find subject terms, the main topics of the articles, in order to find all articles on that topic. 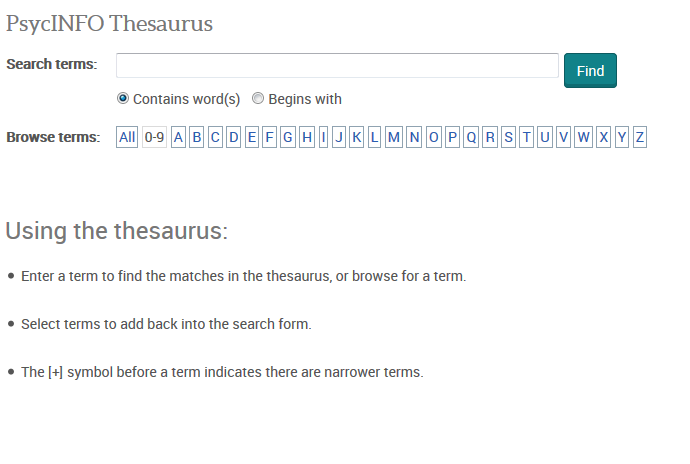 Click on Thesaurus and search for terms related to your topic, or look at the subject terms on individual articles.